The people you meet at Warped Tour are some of the kindest people in the world. 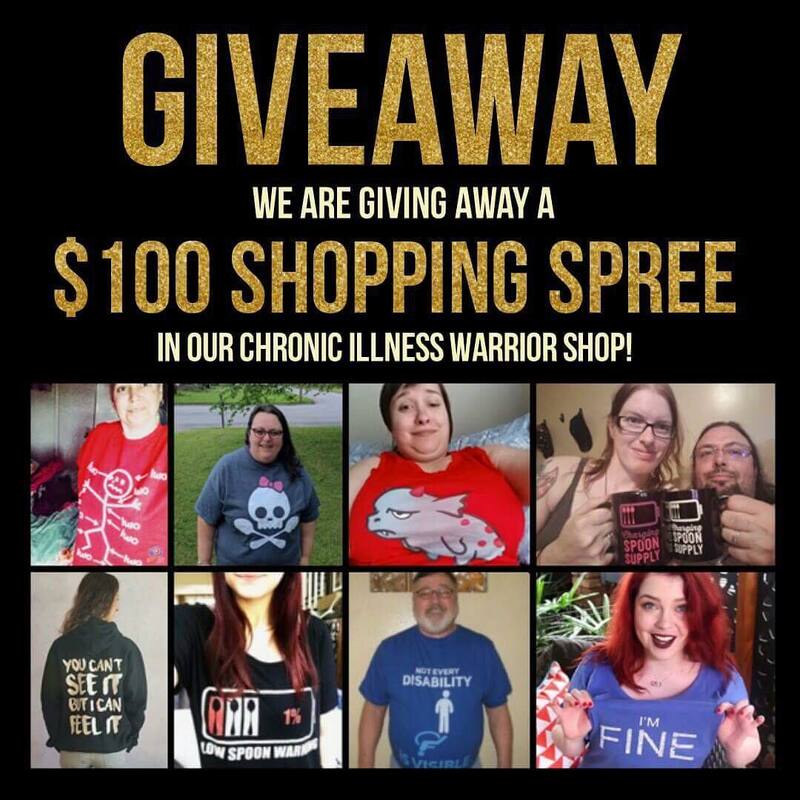 Everyone has a different walk of life and their own struggles, mine happens to be Ehler’s-Danlos Syndrome (EDS); yet, on that one day all differences are pushed aside. Everyone shares a bond stronger than most: a love for music. Janick Thibault, vocalist of Story Untold, singing to the crowd from the Owly stage. Photo taken by Hana Belanger. I was grateful for a saved spot. People began talking and sharing laughs before the next scheduled set was to appear. Never having heard Story Untold before the person next to me encouraged staying saying they were pretty cool. I love discovering new music so I locked my wheels and prepared to be amazed by a new band. Just as I anticipated, I became entranced with their sound and thoroughly enjoyed their set, even if they reminded me of an off brand All Time Low from Canada. Janick Thibault, vocalist of Story Untold, looked just like Alex Gazkarth, vocalist of All Time Low. If it was not for Janick’s tattoo sleeve, one could not be blamed for thinking up conspiracies that Janick is actually a clone of Alex who was shipped as a baby to Canada. Along with their awesome original music, I was thrilled when the band threw a curve-ball of nostalgia to the crowd by covering classic Warped Tour bands in a pop punk mashup. Warped Tour was always good for introducing people to new music and creating gateways to fan bases. In 2016 I heard a band called Pepper play their set while I was in line to meet a band by the main stage. I fell in love with their sound and am proud to call myself a fan of their music today. It is a little sad that this is another loss from the end of Warped Tours. UK pop-punk band, As It Is, passing a notebook around. From left to right is Alistair Testo (bass), Patty Walters (vocals), Patrick Foley (drums), Benjamin-Langford Biss (guitar and vocals), and Hana Belanger (Chargie). Ben is leaning over as I talk about the lyrics inside my songwriting journal. Photo taken by Donald Belanger. Edited by Hana Belanger. I found myself singing along to As It Is’s set-list while waiting in the merchandise line for Sleep on it. I was super excited to hear the newest As It Is songs performed live. At the time their third full length album, The Great Depression, had yet to be released. The only two songs from the album available to the public were The Wounded World and The Stigma: Boys Don’t Cry. The Wounded World was about how society is always quick to blame everyone else except for themselves, which in itself is hypocritical. We are so busy pointing the finger and then pulling the same trigger. The Stigma was about breaking the stigma that “boys don’t cry” and that it is okay for boys to both feel and show emotion. Hearing both played live and shouting them at the the top of my lungs was absolutely rattling and surreal. Arriving at the Living the Dream Foundation riser just as Set It Off was playing Killer in the Mirror meant the first two songs, Uncontainable and The Haunting were missed. This information was found on Twitter. The internet is a great place to find leaked set lists and any spoiler imagined. Since I was still using the wheelchair I used the lift to get on the riser while my dad took the stairs. Set It Off were only performing on three Warped Dates and their fall tour did not include a Boston date. I was extremely grateful for catching as much as I possibly could. Who knew when I was going to see them again? After The Killer in the Mirror I was surprised and enthralled that N.M.E was playing. N.M.E stood for No More Excuses and was one of my favorites off of their second full length album, Duality. As always, Set It Off ended their set in the best way possible with Why Worry. Why Worry usually begins with a sing along. Yet, this show Set It Off went right into it. They even brought on a kid from backstage to sing the chorus before the bridge. The only thing that really bugged me about this show is that with the new era being brought on, the Duality diamond has disappeared and turned into an hourglass. That meant instead of ending the shows with hands forming the diamond when Cody Carson, vocalist of Set It Off, says “We are Set. It. Off” at the end of their set, arms were crossed to form an hourglass. The duality diamond is supposed to represent the balance and duality of good and evil inside a person. The quote from the song “Duality” from the album, Duality, is “I am good, I am evil, I am chaos, I am solace, I am human. And that’s all I ever wanted to be.” That was the representation of the logo being a diamond. To change the logo was to change everything. 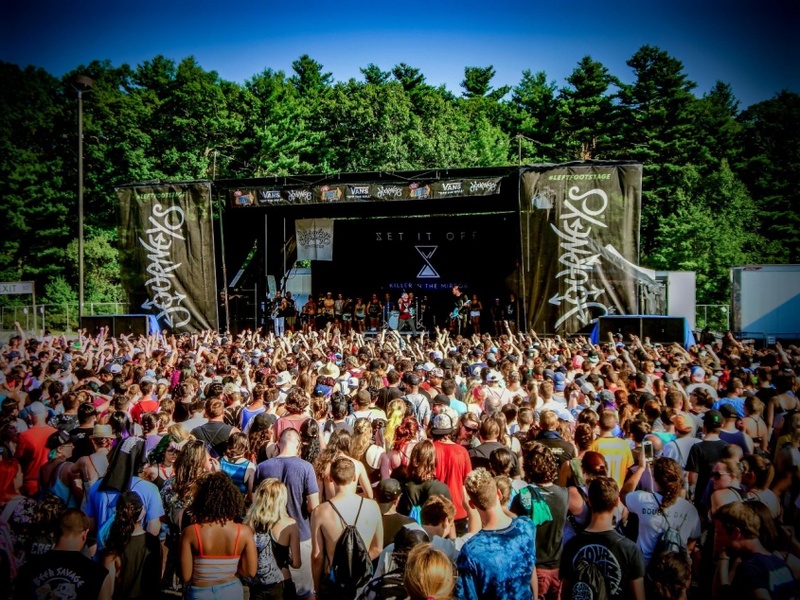 The crowd at Vans Warped Tour as Set It Off plays in the Journey’s Left Foot Stage. Photo taken by Donald Belanger. Edited by Hana Belanger. Plan was ending their set with “I’m Just a Kid” and the line for the Set It Off signing was about a half a mile long! It took the rest of Simple Plan plus the whole entire 3OH3! set before I could finally meet the band and have them sign my notebooks as well as for Cody to write down a quote for me. I had Cody write the lyrics “Devour the critics, dismiss the critics” from the song Dream Catcher because I wanted to get that tattooed on my forearm in his handwriting. Having the lyrics just written down inspires me to not care what anyone has to say while I waiting to get the tattoo. I will continue to fight for my dreams and not let anyone push me away from them. Wrapping up the evening we hit the amphitheater to catch as much of R I L E Y’s set before leaving the grounds early due to my father and I not feeling to well. It was a long hard day in the heat, so leaving a little early was not the worst thing in the world. Besides, health comes first. The aftermath of the festival meant a week of recuperation and soaking in the memories made. The end of Warped Tour after 24 summers is an emotional one, yet I feel proud and blessed to have participated in the last three years. I am inspired to always keep believing in the scene as well as believing in myself and my own capabilities.